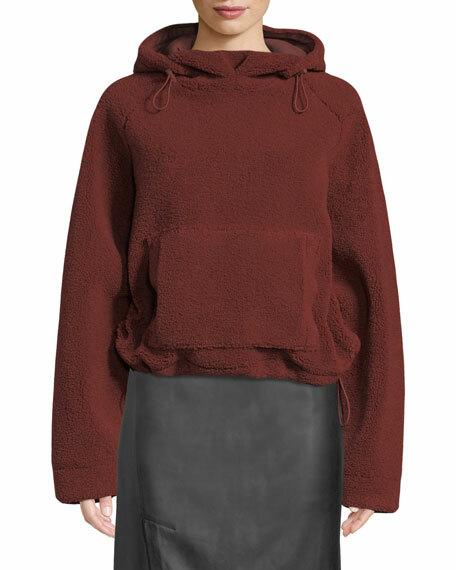 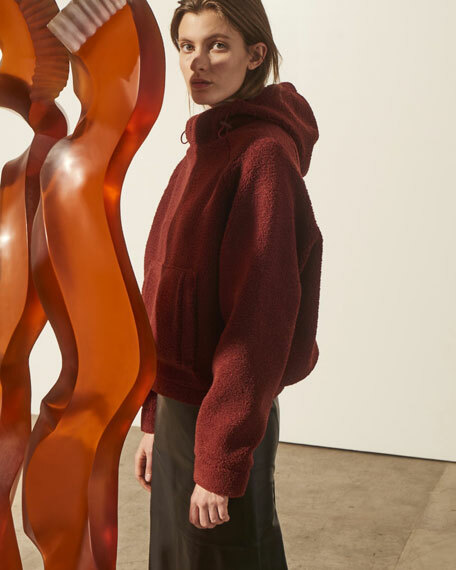 Vince "Cozy" hoodie with drawstring ties. 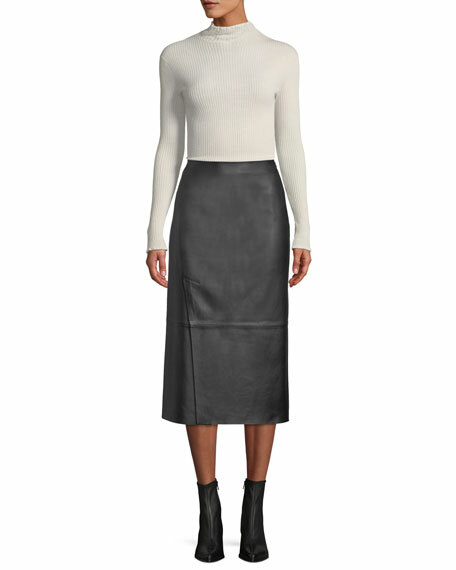 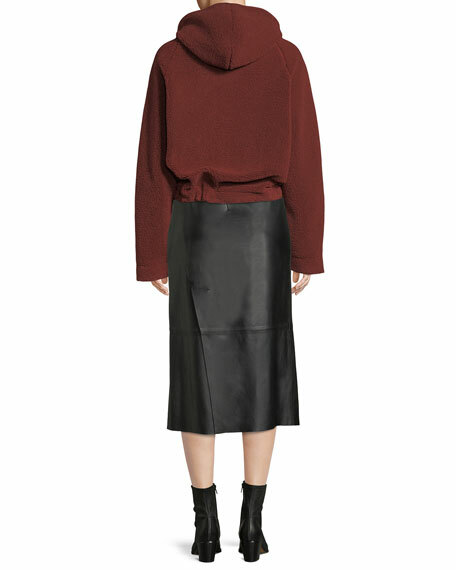 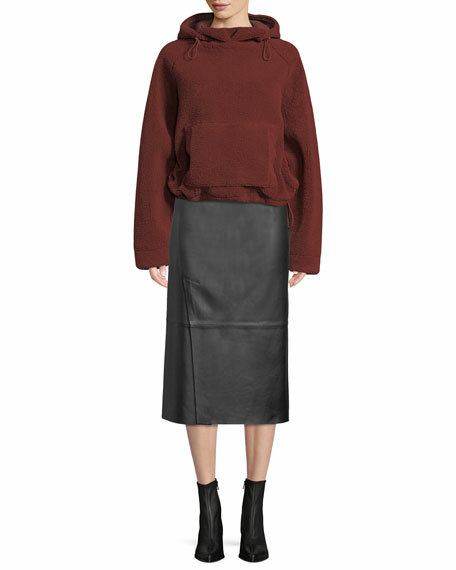 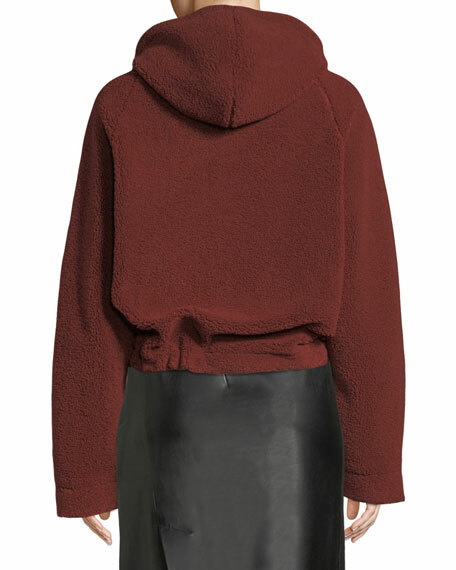 Vince skirt in lamb leather. 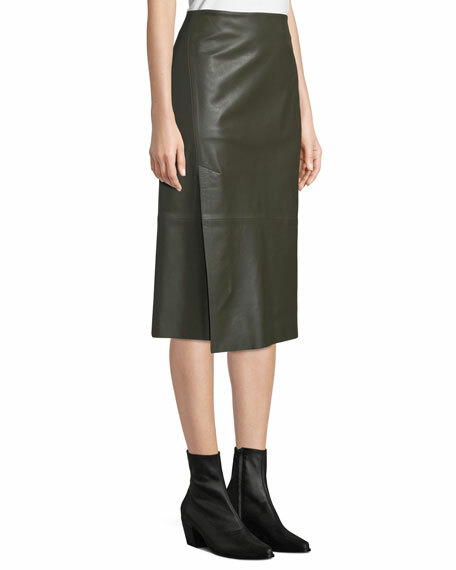 Side slits at front and back.